Welcome to the website of Boy Scout Troop 99. We are based in the Lantana, Flower Mound, Highland Village Texas area. Troop 99 is part of the Topsanah District in the Longhorn Council of the Boy Scouts of America and is chartered by Lantana Cares in Lantana, TX. The mission of Troop 99 is to prepare scouts to make ethical and moral choices over their lifetimes by instilling in them the values of the Scout Oath and Law. Teaching scouts the value of working hard for what you believe in. The Boy Scouts of America was founded in 1910 by Baden Powell. The Boy Scouts of America’s goal is to train youth in responsible citizenship, character development, and self-reliance through participation in a wide range of outdoor activities and educational programs. 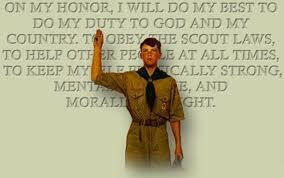 Boy Scouting is the flagship program of the Boy Scouts of America for boys ages 11 to 18. Boys who have achieved the Cub Scout Arrow of Light Award or have completed the 5th grade can join as young as 10 years old. Boy Scouts uses outdoor activities such as camping, aquatics and hiking to achieve the aims of character, citizenship and personal fitness training. The Order of the Arrow is the Boy Scouting national honor society for experienced campers, based on American Indian traditions and is dedicated to the ideals of brotherhood and cheerful service. "Loyalty is a feature in a boy's character that inspires boundless hope." "The most worth-while thing is to try to put happiness into the lives of others.